Patra ran large training and development programs for the USAF. Her Wharton MBA thesis was on career development issues of dual career couples. At GE, she oversaw their Key School initiative for MIT’s Sloan School and supported it at Wharton too. She has designed and implemented career development programs for a wide range of companies. 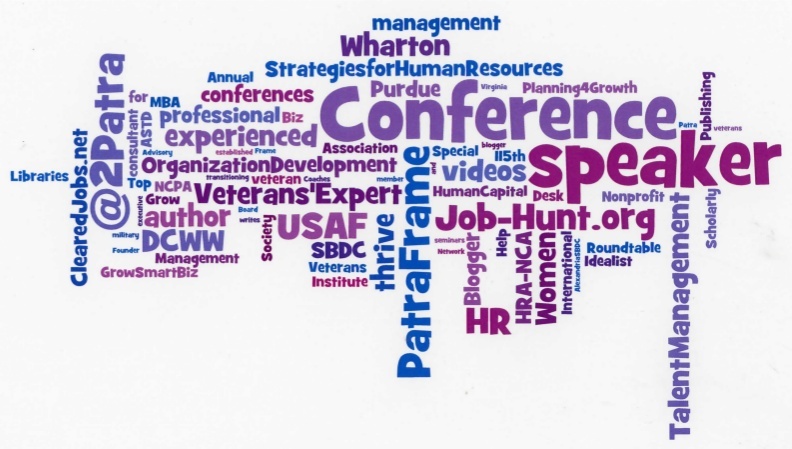 Patra consistently studies and researches to remain at the forefront of career and job search issues. She is quoted regularly in publications. As a veteran, she has a special soft-spot for and has worked with transitioning military to help them focus on what they want to do next and how to find the right opportunity.